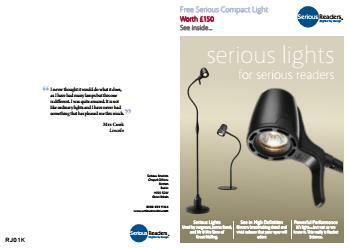 To order a printed copy of the Serious Readers Reading Lights catalogue, simply click the Request button below. 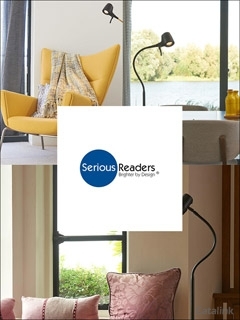 You can download the Serious Readers Reading Lights Catalogue instantly as a digital iCatalogue [?]. 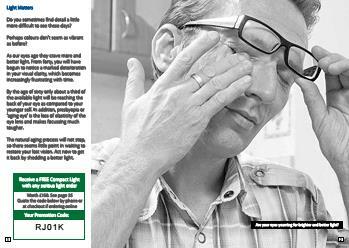 View the Serious Readers Reading Lights Online Catalogue Now! Welcome to the home of smart ideas for serious readers. You'll find purpose built reading lights that allow you to read for longer and in more comfort. Their Easy Book Clips free up both your hands when cooking or working at your computer. Or why not treat yourself to a magnifier or some reading glasses. Make sure you never again have to stop reading against your will. 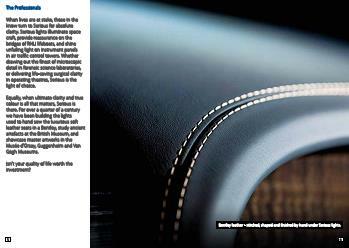 Serious Readers gives you the products you need to make your passion for reading more comfortable and flexible. 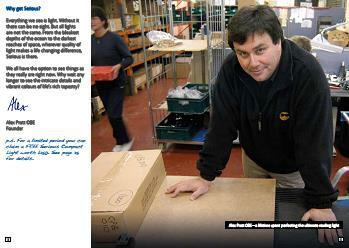 For a full range of solutions, ideas and aids order your Serious Readers catalogue now. Serious Readers Reading Lights Catalogue Trevor T. said: An inspiring little booklet this! Serious Readers Reading Lights Catalogue Ruth B. said: great for the grand parents! Serious Readers Reading Lights Catalogue Joyce S. said: Too dear. Serious Readers Reading Lights Catalogue Nigel K. said: I was hoping for a catalogue covering their entire range, not just the overly expensive lamps. By pressing the Request Printed Catalogue button you give consent to Serious Readers Reading Lights (and their Data Processors for the specific purpose of delivering your literature) to send you their Catalogue.